The most common means of managing state trust lands to generate revenue for the beneficiaries is through leasing. Over 8.4 million acres of state trust lands in Arizona are under agricultural or grazing leases. Mineral leases are also in place for approximately 30,000 acres of state trust lands with marketable mineral resources. Leasing for these natural resource values – ranching, mineral development or agriculture – collectively brings in over $10 million in revenues. Commercial leases – both long and short term – are not in place for a large amount of acreage of state trust lands (only approximately 70,000 acres), but yield significant comparative leasing returns – over $33 million in receipts to the Arizona State Land Department in 2015. Lease revenues are considered expendable funds by the ASLD, which means that they are made available directly to the beneficiaries. 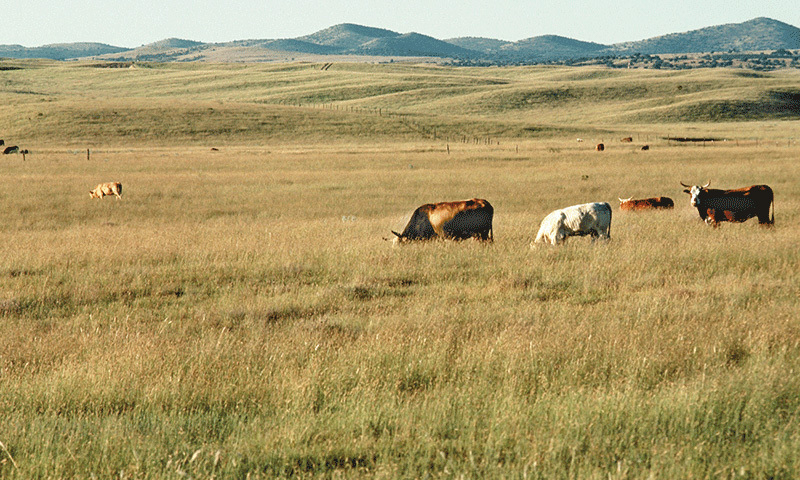 Grazing and commercial leases are the most commonly implemented leasing structures on state trust lands in the West, but in recent years, state trust land agencies have been exploring other leasing structures to meet new market demands, accommodate leasing schemes that increase the value and economic productivity of trust lands, and diversify revenue streams to the trust. The Idaho Department of State Lands has developed a conservation leasing structure that allows entities that are interested in conservation of ecological resources, wildlife management, historic preservation, or cultural resource protection an opportunity to lease state trust lands (called endowment lands in Idaho) at fair-market value for those purposes. The program began in 2007, and while it remains a small portfolio of the overall leasing program with only around 20 active leases, it provides a mechanism for conservation efforts that is compatible with the trust responsibility. In a similar effort to accommodate market-based ecosystem protection effects, the Colorado State Land Board has created special leasing categories for ecosystem services mitigation projects; it offers short-term planning leases to conduct due diligence for compensatory mitigation projects, as well as long-term ecosystem services leases to cover ecosystem service project construction and maintenance during the active banking period of a mitigation project. These lease structures have been established in order to participate in emerging ecosystem service markets for water augmentation, wetland restoration, biodiversity, and carbon. However, these types of leases are often part of a broader program enabling trust land management agencies to participate in market-based conservation efforts that earn revenues for the trust. Many states have also contemplated creating “stewardship leases” as a special category of traditional grazing leases. In some proposals, such leases would extend the lease term from a period of 10 years to 25 years in exchange for enhanced stewardship to restore or protect ecological values and economic productivity of grazing lands within the trust portfolio. The majority of states in the West have also established recreation leasing or permit programs, which provide opportunities for outdoor recreation, hunting or fishing, camping, or other recreational activities on state trust lands, which are otherwise not available to the public for recreational purposes. Recreation leases or permits often exist as an overlay concurrent with an already existing grazing or agricultural lease. With the exception of a recreation permit system, Arizona has yet to branch out into establishing any of these alternative leasing structures that can serve as tools for achieving conservation outcomes. However, as other trust land agencies in the West have found, exploring these types of leasing arrangements can open trust land management to new and growing markets, diversify revenue streams, and provide mechanisms for meeting the needs of the trust beneficiaries while serving broader public goals around resource protection. In exploring the potential of new leasing structures as tools for achieving watershed protection on trust lands important to sustaining the Verde River and its tributaries, some elements of these alternative leasing arrangements could be combined to create an effective approach. A conservation lease, structured as an overlay that can be used concurrently with compatible existing leasing arrangements (such as grazing leases held by a willing lessee partner), can increase the overall returns to the trust, while also allowing for management of lands for watershed protection. To increase such a lease’s effectiveness, it could fall into the long-term commercial lease category, which can be issued for terms of up to 99-years, according to Arizona statute. If applied for in partnership with an existing lessee who is interested in the long-term protection of their ranch as a working landscape, a long-term commercial lease on state trust lands checkerboarded with private land holdings that are then placed under a conservation easement can be a valuable landscape-scale strategy for agricultural and watershed protection.